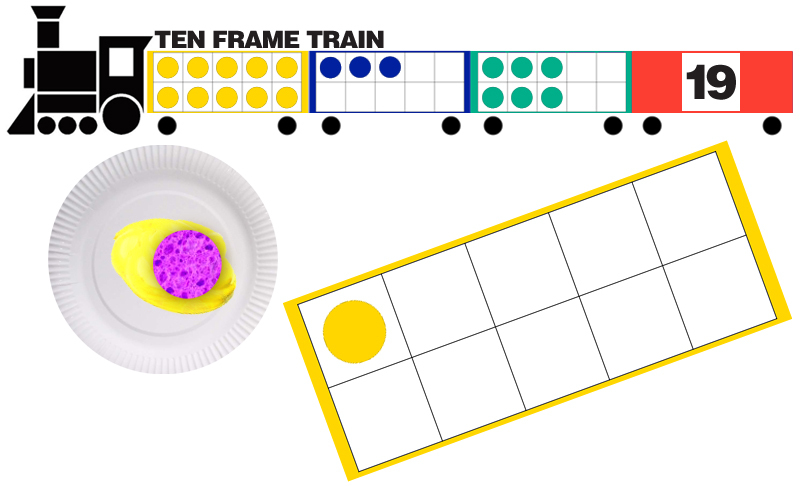 Explore ten frames and place value by creating a paper ten frame train. Kids construct a train out of construction paper. Then, they glue ten frames on the box cars, except for the caboose. They add "passengers" to each frame (sponge paint). Then, they figure out the number of passengers and write it on the caboose.